Do You Need To Do A First Aid Course? 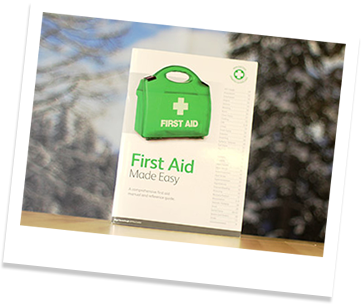 For anyone needing to update their first aid qualifications, Interski will be running two-day Outdoor First Aid Courses in our Mansfield Office on the 6th & 7th June 2019, 10th & 11th October and 14th/15th November 2019. For further information or to book a place, please contact Gill via gill@interski.co.uk or on 01623 456333 ext 207. For more general information on cookies see the Wikipedia article on HTTP Cookies - http://en.wikipedia.org/wiki/HTTP_cookie. This site offers e-commerce and payment facilities and some cookies are essential to ensure that your order is remembered between pages so that we can process the booking properly. When you submit data to us through a form such as those found on contact pages or brochure download pages, cookies may be set to remember your user details for future correspondence. This site uses Google Analytics, which is one of the most widespread and trusted analytics solutions on the web, for helping us to understand how you use the site and ways that we can improve your experience. These cookies may track things such as how long you spend on the site and the pages that you visit so we can continue to produce engaging content. For more information on Google Analytics cookies, see the official Google Analytics page - https://developers.google.com/analytics/devguides/collection/analyticsjs/cookie-usage. This policy was last updated on 16th October 2014.